The Tucson Disc Golf Association is an Arizona nonprofit corporation that supports the Tucson Disc Golf Club (Tucson Chain Lightning), which has been promoting disc golf in the community for nearly 20 years by organizing and managing leagues and tournaments, maintaining public courses and educating the public about disc golf for the public health and good. The club welcomes new and visiting players and hosts competitions including tournaments, weekly leagues and other events at four courses in Tucson: Santa Cruz River Park, Groves Park, Sears Park and Sam Lena Park. 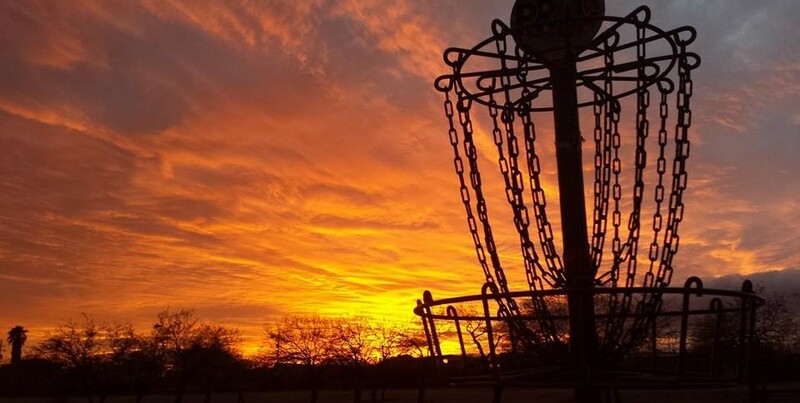 (The club and its members also support leagues and tournaments at Marana Rock DGC, which is hosted and maintained by the town and Marana Disc Golf Club.) The club supports all level of play, including hosting tournaments sanctioned by the Professional Disc Golf Association, the governing body for national and international competition. The 2019 club officers are: Chris Dawkins, president; Jeremy Herr, vice president; Dave Shircore, treasurer; AJ Herr, secretary; and MIke Early, amateur representative. The course pros are: Santa Cruz River Park, Dave Wichner; Groves Park, AJ Herr; Sam Lena, Trevor Chilcote; Sears Park, Ben Vosper; and Quail Canyon, Scott Honimichl. You can also keep up on the latest news at our Facebook page.